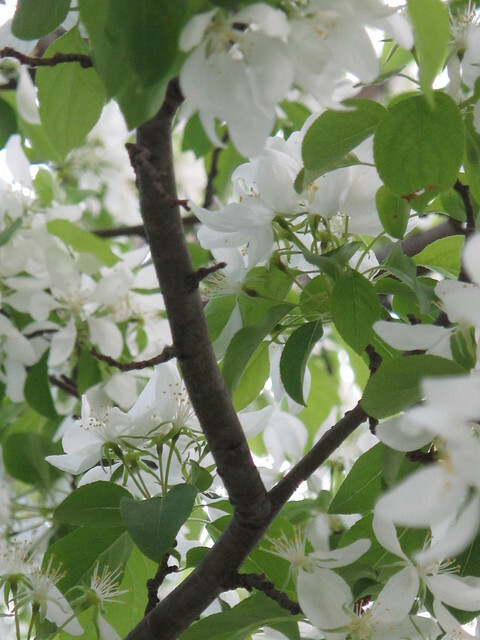 AS the sun illuminates blossoms in our yard this morning, we look forward to the arrival of our guests for this Memorial Weekend. There is still time to book a stay and to take advantage of our multiple night specials of 15% off two nights or 25% off three nights. If one night is all you have for your getaway, don’t despair! We’ve lifted the two night minimum for available rooms and a single night can now be booked online from our website. Come to enjoy the peaceful privacy and generous hospitality of our bed and breakfast inn and the attractions of historic Port Washington and of our area! Bring or rent bikes from Zuzu Pedals to enjoy the Interurban Trail (three blocks from the inn), walk the beach, amble through the marina and parks along Lake Michigan’s shore. Sunday afternoon take in Port Washington’s 6th Annual Street Festival welcoming summer! Thursday March 28th was the first public television airing of the Around the Corner with John McGivern Show highlighting Port Washington! There was a premier viewing earlier in the week to which participants and local residents were invited. We are impressed!! We are especially honored to be the very first bed and breakfast to be invited to participate on their show. Maybe you are already a fan of the show, but in case you miss the airings on public television, it can be viewed from this link link any time. The show alludes to “Premo, the beer that made Milwaukee furious”. Port Washington Inn was built in 1903 by George and Eva Blessing who owned the Port Brewing Company that made Premo Beer! Port Washington has a rich history, it’s true, but it’s also busy reinventing itself. You’ll see evidence to that effect everywhere you look! 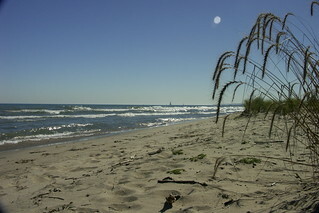 Truly, there is every reason to spend more time in our area these days and the reasons only increase as weather warms! So allow us to entice you with our 15% discount on a two night stay and 25% discount on a three night stay. These discounts are in effect May through October and apply to all dates except Harley Davidson’s 110th Anniversary Reunion (August 29, 30, 31, September 1). At this time of year, people tend to make vacation plans well into the future, but our online reservation system is set to accept online reservations only four months into the future. Give us a call if you are interested in reserving rooms for August or September, for instance, and the system won’t allow it. May through October our online reservation system is set to High Season status. That status does not differentiate between weekend vs midweek rates and it requires a minimum stay of two nights. Sometimes a single night stay can be accommodated as last minute availability during high season, so don’t hesitate to call if you find yourself passing through the area and need a room. We’ll do our best to accommodate you. Days are lengthening, birds are singing, the sun is moving north, and everywhere nature is about rebirth and regeneration. It’s time to plan that regenerative getaway! 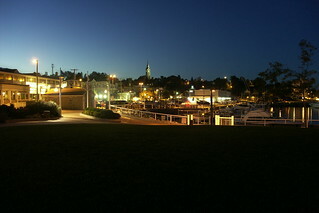 visitportwashington.com is the place to go for everything you want to know about Port Washington. Traveling with your smartphone? Download the app and you’re good to go! Reserve your room at Port Washington Inn and begin the journey………. Daffodils, vinca, and forsythia are adding their color to the landscape and the cool temperatures have prolonged their season. In our nearly sixteen years in this location, we’ve never noticed so much forsythia as this year. The daffodils and vinca in our yard are particularly happy this spring and the lenten rose is a welcoming touch of delicate color as guests pull into our off-street parking area. We eagerly await the blooming of the wallflowers begun from seed last year. We wonder if they will they live up to the pictures in the seed catalog? The unseasonably warm weather in early March got us out into the yard and prompted a frenzy of enthusiasm for a landscaping project involving lots of mulch and pavers. After further consultation, we downsized the plan to mulch minus the winding paver border we had envisioned. It was hard to let go of that aesthetic element but we know all too well the amount of labor it would involve. And we took seriously the advice that it wouldn’t hold up over time……just like that warm weather didn’t hold up. But the birds are back and their songs fill the air! Rita’s sewing room has been busy as she creates new window treatments for Helen’s Room, the main floor powder room, and the west kitchen windows. It is fun to finesse the inn to make it that much nicer for guests and for ourselves. Undoubtedly you, too, have been spring cleaning and finessing your homes and yards. It’s that time of year! When you need a break from your labors, come check out the Interurban Bike Trail (take advantage of the Bike Ozaukee County Promotion) and the marina (open as of April 1st). Port Washington is a happening place these days but not a ‘tourist trap’ so you can enjoy a leisurely time here investigating shops, a wonderful variety of restaurants, a class act tea room (Baltica), Bernie’s European style meat market, wine tasting at Vines to Cellar, handmade chocolates and ice cream at The Chocolate Chisel……plus all the amenities of Port Washington Inn. Come during April, stay two nights, and get 20% off your stay; three or more nights get 25% off. Locals all too often take for granted Port Washington’s exceptional setting, but we are reminded by visitors that what we have here is ‘a little piece of heaven’. From Port Washington the Interurban Trail heads north through the countryside toward Harrington Beach State Park or south with a mixture of countryside and the towns of Grafton, Cedarburg, and Thiensville. 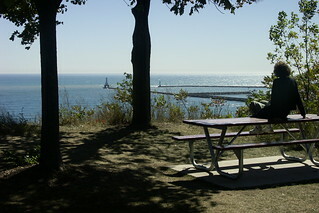 The 636 acre Harrington Beach State Park is a favorite destination for guests of Port Washington Inn to take one of the inn’s Gourmet Picnics to enjoy at a picnic table or on the beach. The picnics can be packed in backpacks for guests doing the bike trail or in a picnic basket for those preferring to travel by car. It’s homemade fare prepared in the inn kitchen! NOTE: The toll free number listed in this article is defunct. Please call 262-284-5583 to reach Port Washington Inn.